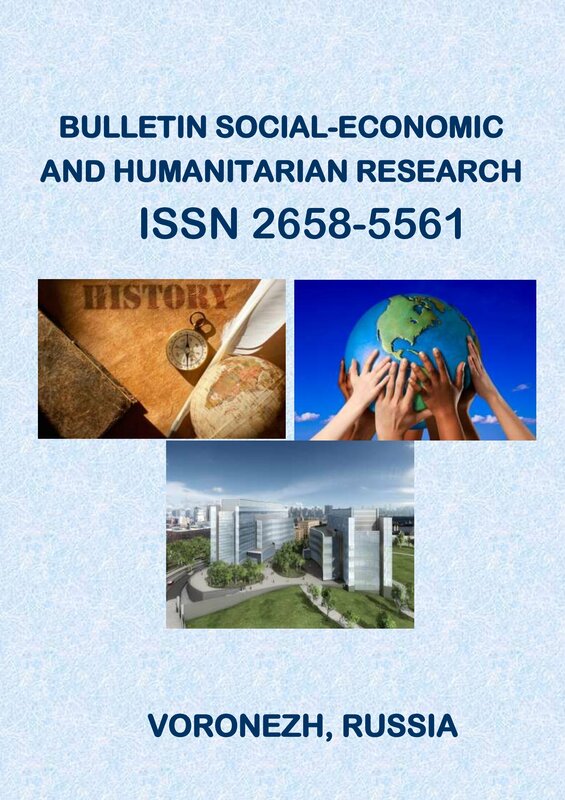 International Electronic Scientific Journal "Bulletin Social-Economic and Humanitarian Research" publishes articles on the relationship of various government agencies and society. The Editorial Board determines the order of publication of articles. The author retains copyright to his articles. 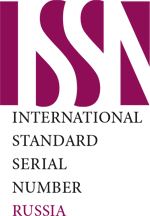 Journal was founded in 2018. The profile direction for this journal is the publication of articles on Historical Sciences, as well as the publication of research at the intersection of Sciences, in particular Historical and Economic Research, Historical and Philosophical Research. 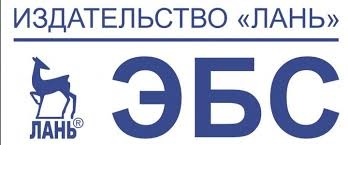 In comparison with other similar editions, the journal publishes articles in new scientific fields: "Institutional History“, including ”History of the Institute of the Orthodox Church“, ”Institutional Economics“, including ”Economics of the Institute of The Labor Market" and other newest areas of scientific research. 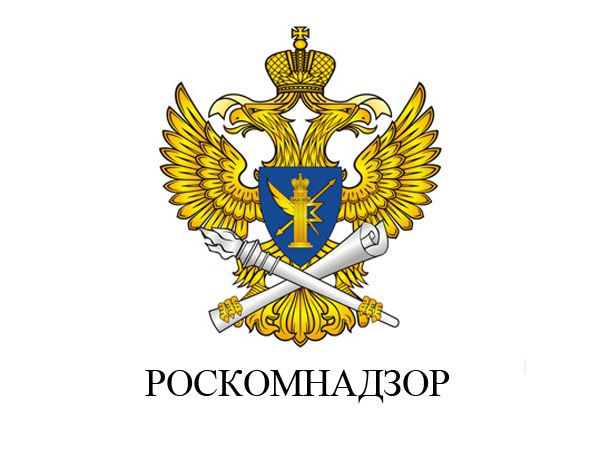 The purpose of the journal is to form a new view on Russian and world history, philosophy and economics. Particular attention is paid to modern scientific approaches in regional history. The journal reveals the world economic processes that have affected the socio-economic situation of various states. The factors related to the philosophical awareness of reality in the context of the international agenda are revealed. The editors will be grateful to the authors of the articles for interdisciplinary research, revealing new methodological concepts in solving current international problems. Journal is registered on the international domain com. № 4 - October, November, December. 1. Open Access publishing proposes a relatively new model for scholarly journal publishing that provides immediate, worldwide, barrier-free access to the full-text of all published articles. Open access allows all interested readers to view, download, print, and redistribute any article without a subscription, enabling far greater distribution of an author's work than the traditional subscription-based publishing model. Many authors in a variety of fields have begun to realize the benefits that open access publishing can provide in terms of increasing the impact of their work. 2. The main motivation for most authors to publish in an open access journal is increased visibility and ultimately a citation advantage. Research citations of articles in a hybrid open access journal has shown that open access articles are cited more frequently or earlier than non-Open Access articles. 3. In an open access model, the publication costs of an article are paid from an author's research budget, or by their supporting institution, in the form of Article Processing Charges. These Article Processing Charges replace subscription charges and allow publishers to make the full-text of every published article freely available to all interested readers. Open Access brings increased visibility to institutions that fund and supervise research. 4. Universities, institutes, foundations, national funds for scientific research and government agencies all benefit from the increased visibility and higher citation rates of funded projects. Moreover, nrestricted use of and immediate access to free research literature provides a great resource for teaching, conference presentations and lectures, and thus both teaching staff and students benefit highly from it.